What is the Heliosphere? What are the conditions that exist outside of it? The first question is simply a matter of definition while the second has been the subject of scientific inquiry for the last several decades. Locations of key events are labeled in this extreme ultraviolet image of the sun, obtained by the Solar Dynamics Observatory during the Great Eruption of August 1st. White lines trace the sun’s magnetic field. Image Credit: K Schrijver & A. Title. When you get out beyond the orbit of the Kuiper belt, space is dominated by charged particles that were ejected by the Sun through solar wind. 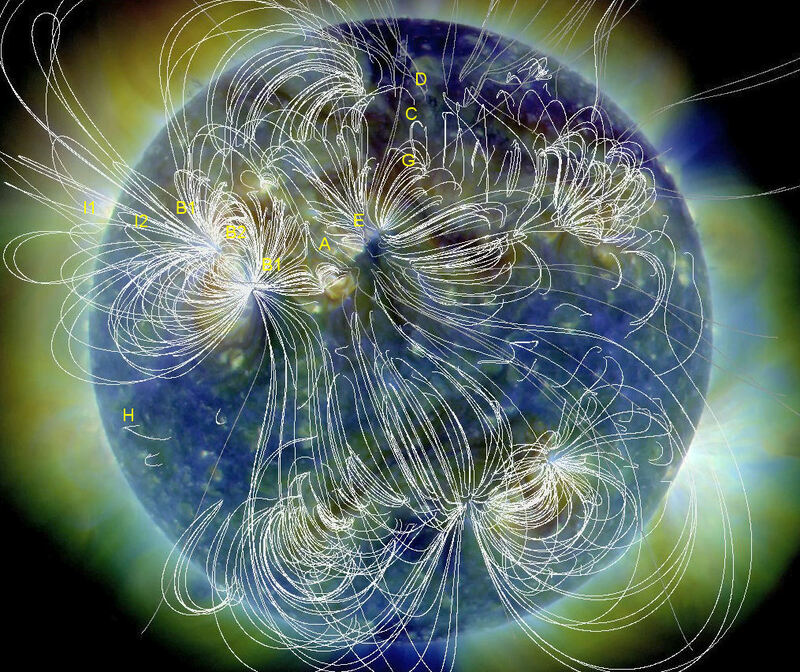 In this region, the Sun is the defining magnetic force, and the edge of the heliosphere is defined by the intensity of the Sun’s magnetic field in contrast to the galactic magnetic field. Now, let’s walk through the main sections of the heliosphere starting from the outside and heading inward towards the Sun. Outside the heliosphere, you exist in the interstellar medium. This is basically the dust and gas that travels throughout the galaxy (the matter/energy existing between solar systems). Our Sun’s heliosphere blends smoothly into the interstellar medium, and the interstellar medium blends smoothly into the intergalactic medium that stretches between the Milky Way and other galaxies (the intergalactic medium is basically the same as the interstellar medium, but it exists between galaxies instead of solar systems). Pictured above, BZ Cam’s wind creates a large bow-shock as the system moves through surrounding interstellar gas. For some stars, the first significant region you hit as you travel inwards is the bow shock, though this technically isn’t a layer of the heliosphere yet – it’s an in-between zone. A bow shock looks very similar to the bow wave created by boats as they pass through water. 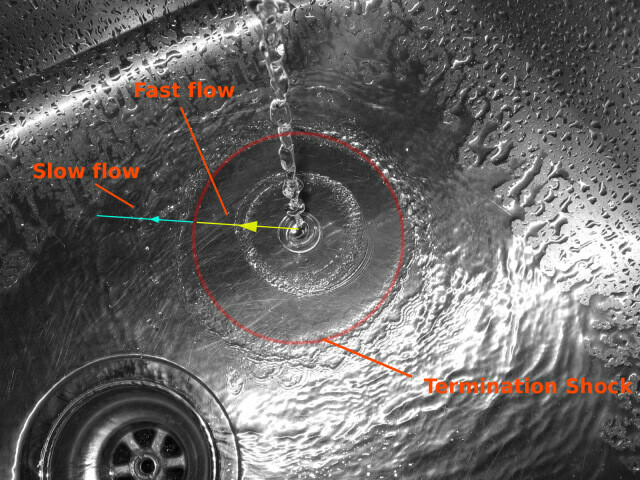 Due to pressures caused by the interstellar medium against the outer layers of the heliosphere, you get this shock wave to form. In order for a bow shock to form, the star needs to be traveling at a certain speed (in the same way a fast-moving boat creates a bigger bow wave than a slow-moving boat). Unfortunately, data collected by the Interstellar Boundary Explorer has recently gathered evidence suggesting that our Sun doesn’t move through space fast enough for such a shock wave to form…bummer. 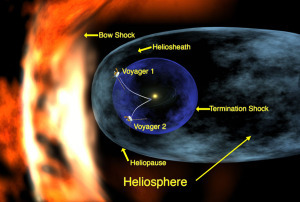 The outermost layer of the heliosphere is a region called the “heliosheath.” The outer edge of the heliosheath – the region of the heliosphere that is actually impacting the interstellar medium – is called the heliopause. So, the heliopause is just a very specific region of the heliosheath. Currently, Voyager 1 is somewhere in this area. Scientists are able to determine this because Voyager 1 is experiencing a sharp increase in cosmic rays and a shift in the direction of the magnetic field (that, for the record, is basically what the conditions are like outside the heliosphere). At this time (09/13), Voyager has yet to leave the solar system. The heliosheath comes next, but the nature of its existence is currently in dispute. Both Voyager’s 1 and 2 have studied the heliosheath rather extensively. They helped scientists to determine that the region was not a smooth blending of charged particles, but rather a ‘foamy’ type region filled with bubbles that are likely shaped by magnetic forces from the galaxy and the Sun fighting against each other. This region starts around 100 AU from the Sun. Then, we arrive at the termination shock. 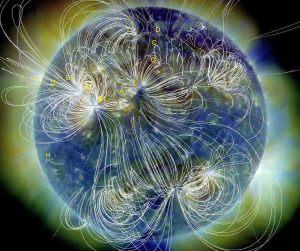 This is the region where solar winds generated by the Sun slow to subsonic speeds (relative to the Sun). As supersonic particles are ejected from the sun, due to pressures caused by the interstellar medium, they are forced to slow down. The termination shock, existing around 75-90 AU is the region where these particle slow rather dramatically causing a shockwave-like effect (this is different than the bow shock discussed earlier). Within the bubble of the termination shock is the region of space completely overpowered by the sun and entirely dominated by solar winds and the interplanetary medium. Cosmic rays and particles from the interstellar medium do penetrate this deep into solar systems, but they are by no means the majority, and they play by the Sun’s rules. Bow Shock or Bow Wave?